WHOA. It has been too long (January!) 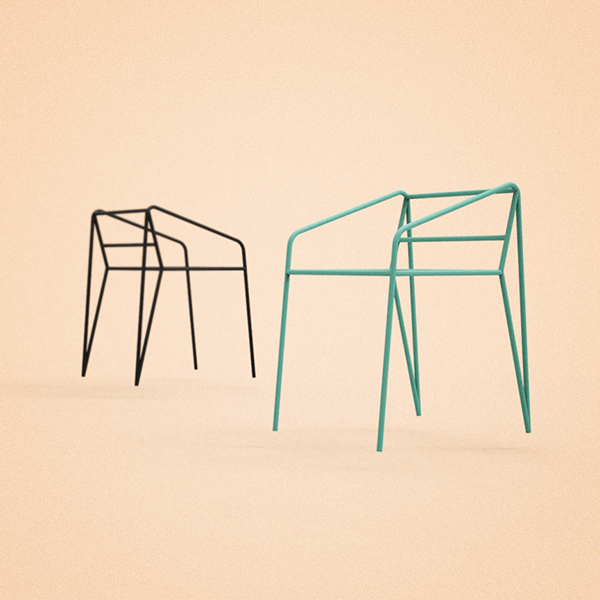 since the last round-up of my current chair obsessions. For this round-up there is no theme. Some are leather, others painted, metal accents, maybe color punch worthy fabric too. 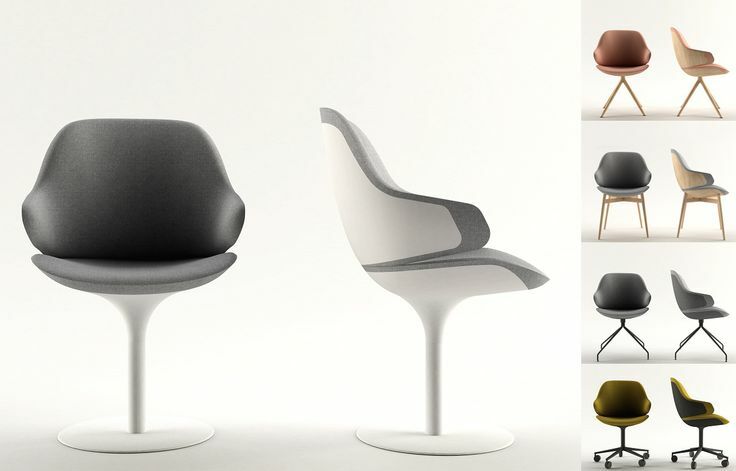 To begin is the Robin Day Festival Hall 658 chair. 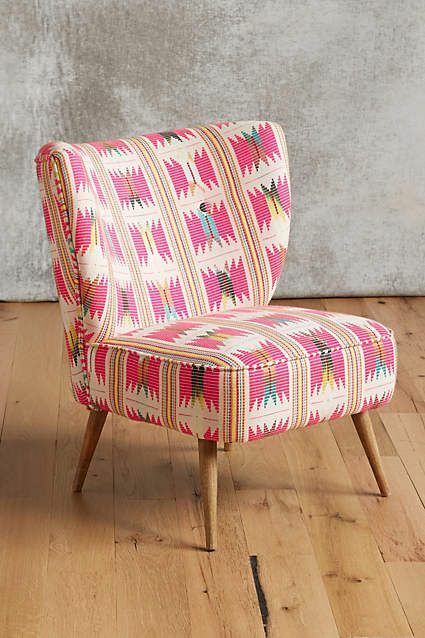 A beautiful retro chair with blonde wood and fabric components. 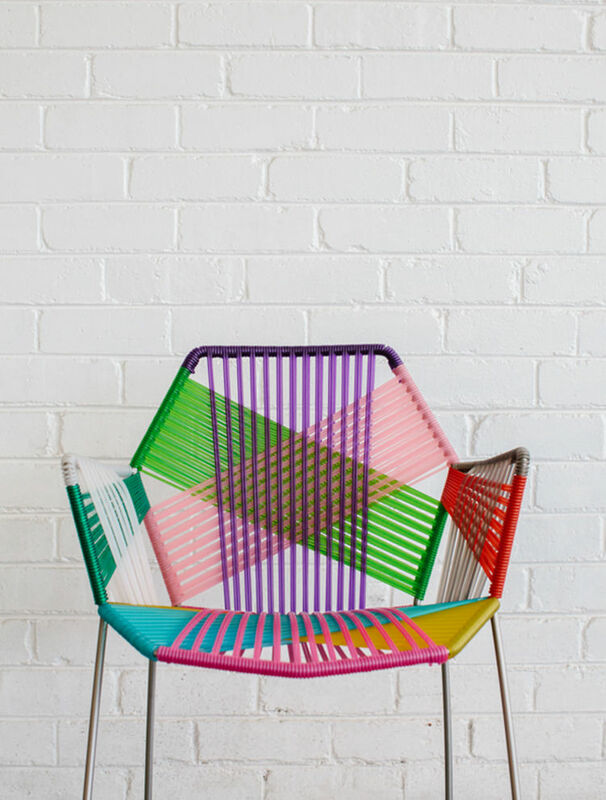 The Tropicalia chair by Patricia Urquiola for Moroso is both playful and bold, and is the perfect punch of color for your space. 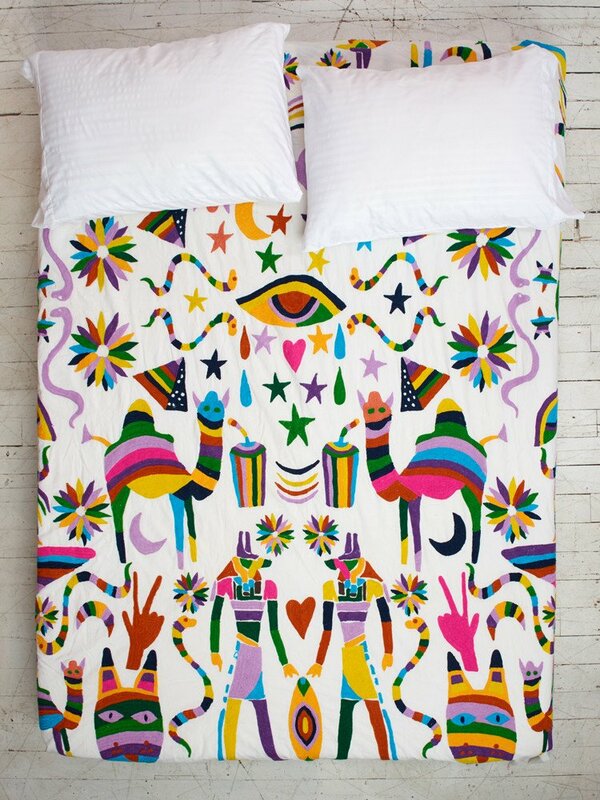 I enjoy the geometric forms created by its multiple colors that are also used to create a pattern. 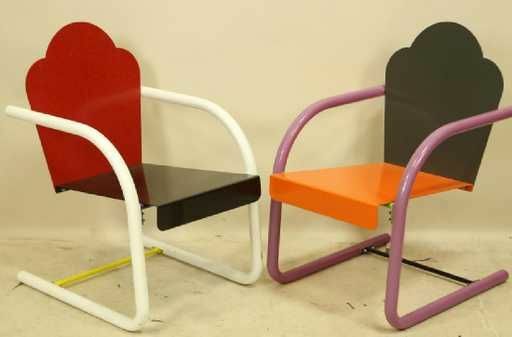 Now, for those that source eco-friendly furnishings, the Ciel! 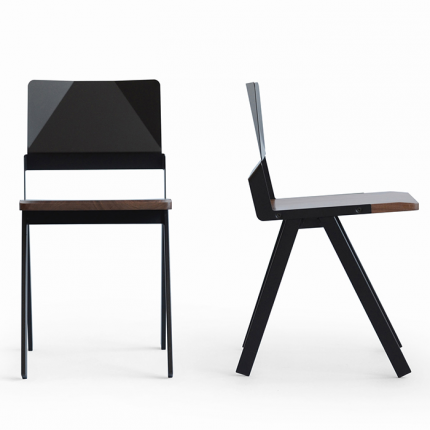 chair for Tabisso is an elegant high-end chair both for residential and office use. Its craftsmanship takes into account the full life-cycle of its design, from inception through production. Combining both retro aesthetics with bold colors and form, the Ignacia chair by Sergio Martinez is statement worthy. 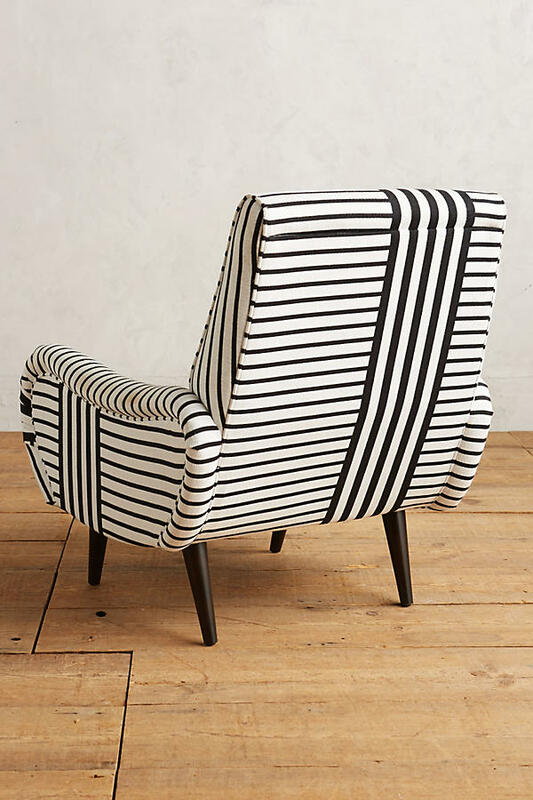 It is the perfect accent chair. 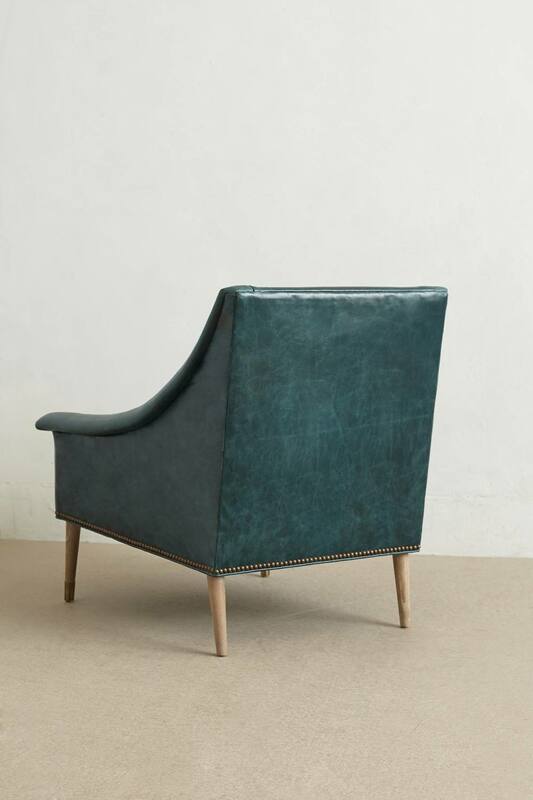 Rounding out this Chair Obsessions is the Leather Tillie Armchair. 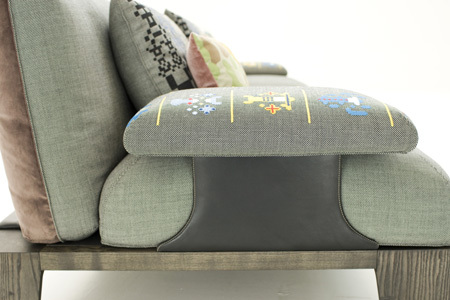 A modern spin on a classic English leather wrapped chair with a houndstooth cushion. It is time to lounge. Metallics are one of my favorite mediums to decorate with. 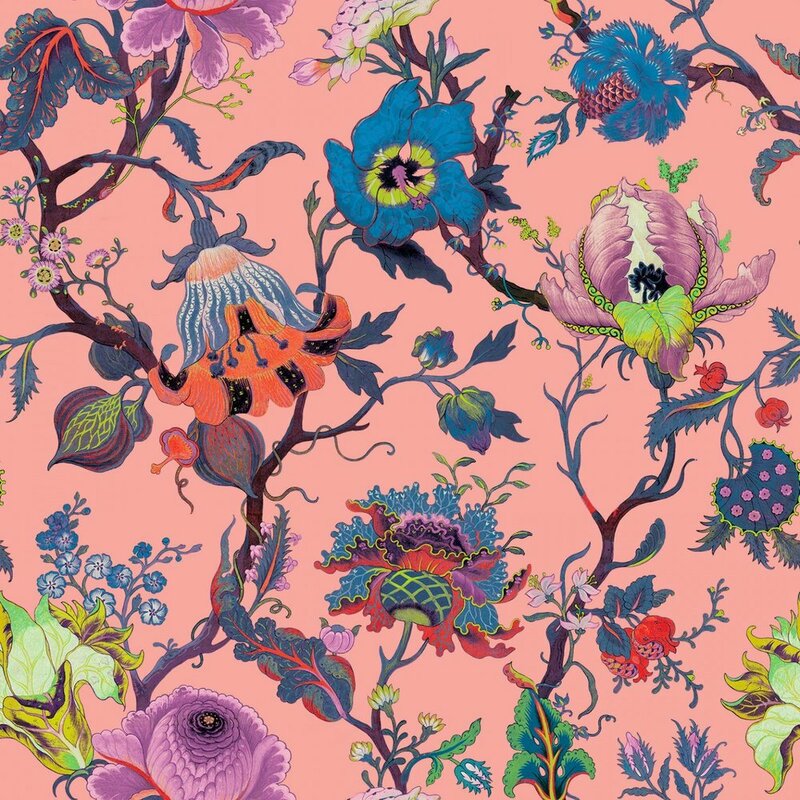 From lighting to accessories, art, and even textiles, they add warmth and intrigue. 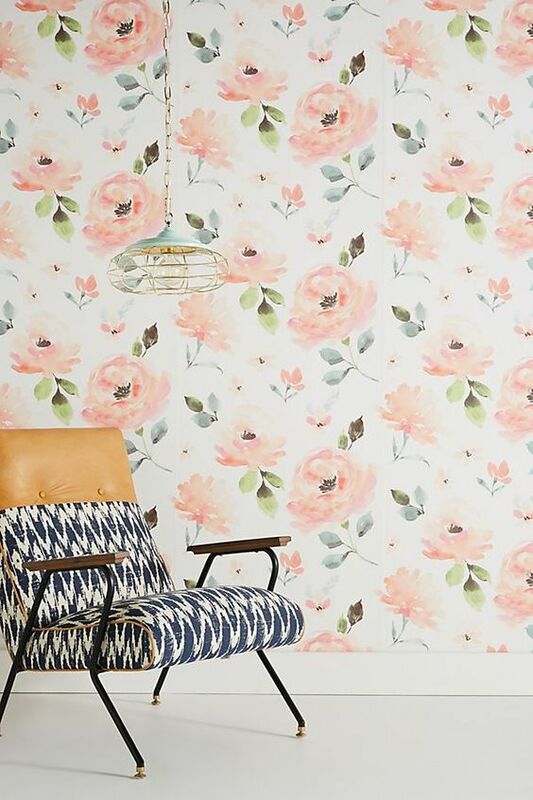 Whether you use them as the focal point of your space, or more subtly with pops spread about, you can’t go wrong. And they can be used year round. 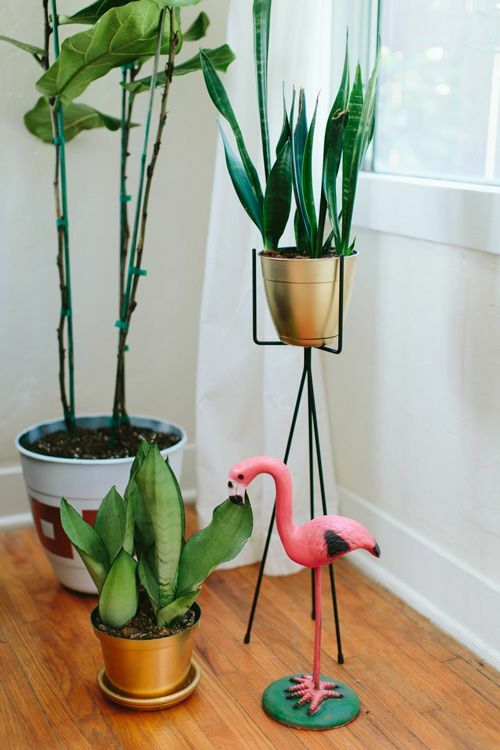 My current favorites include: the gami rose gold candleholder from cb2. Its geometric and glows when you light your tealight. Also from cb2, the liberty pendant light is an overscaled modern update of your traditional pendant lighting. With a brass interior, your room is sure to glow in its warmth. While your lounging, wrap yourself in the grey stripes moroccan wedding blanket- sequence included for some metallic sparkle. 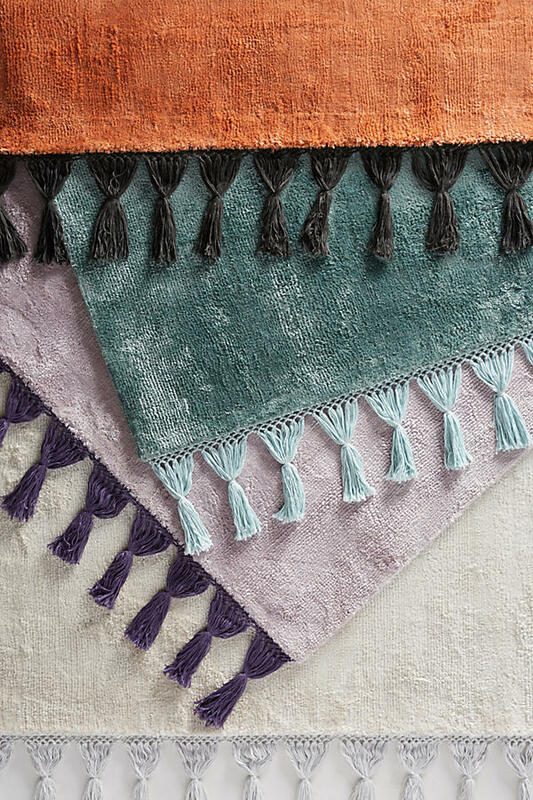 This blanket from maven collection would also be a beautiful addition to your bed. 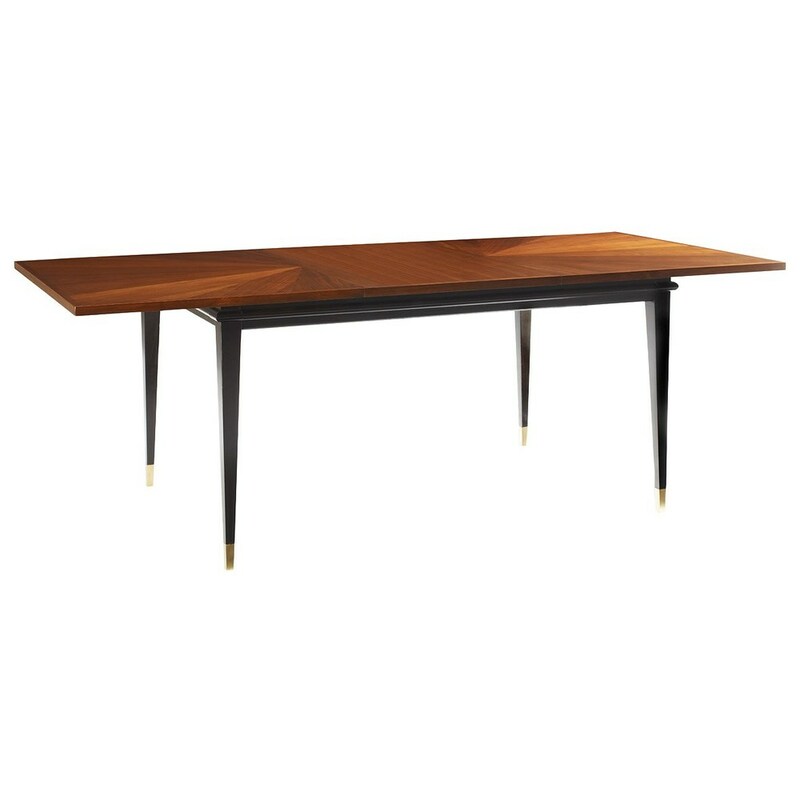 For a little mid-century geometric glam, the worlds away surf coffee table with gold leaf legs and a black marble top is a must. Love those angular legs! Lastly, I can not say metallics without mentioning Tom Dixon. Besides wanting everything, the scoop high copper legs chair will do. Whether for dining or as a side chair, comfort and modern elegance are combined in this sculptural chair. 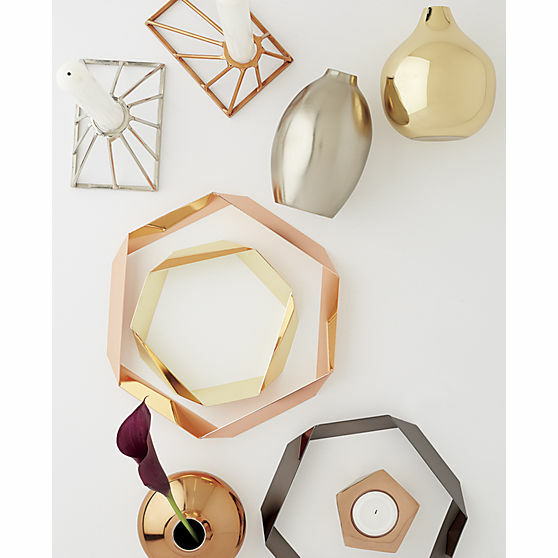 Now go add some bold and beautiful metallics to your space. 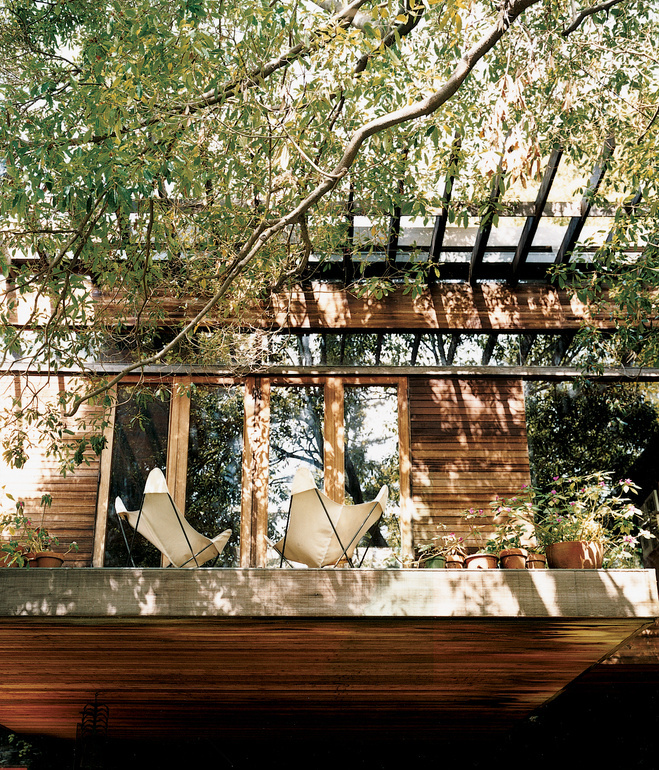 Clean lines and a mix of woods, powder-coated metal, and colorful textiles- it is time to get outdoors and lounge about. Thankfully, spring has sprung and rainy weeks are giving way to sunshine filled days. 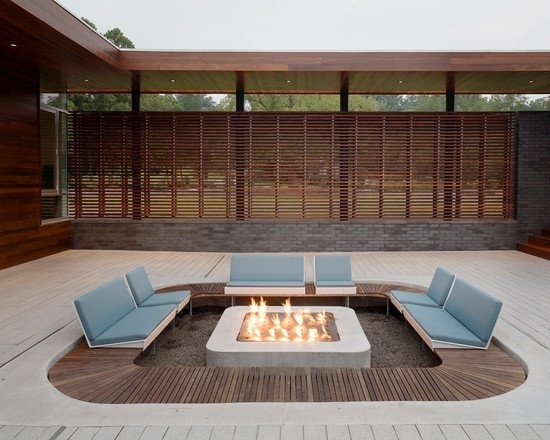 However, for those still too-chilly spring evenings (or last summer days) the heated outdoor furniture by Galanter Jones is a must. I love the simple curvy shape and stone material. To add color punch to your outdoors, the Acapulco multi lounge chair from cb2 and Fauteuil Caracas by Colonel are a must. 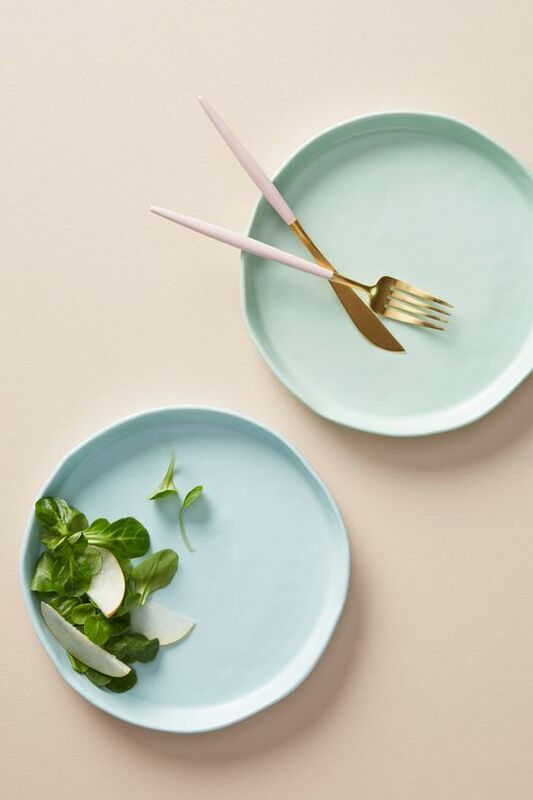 Playful shapes, durable materials, and just the right shades of aqua, yellows, and pinks. 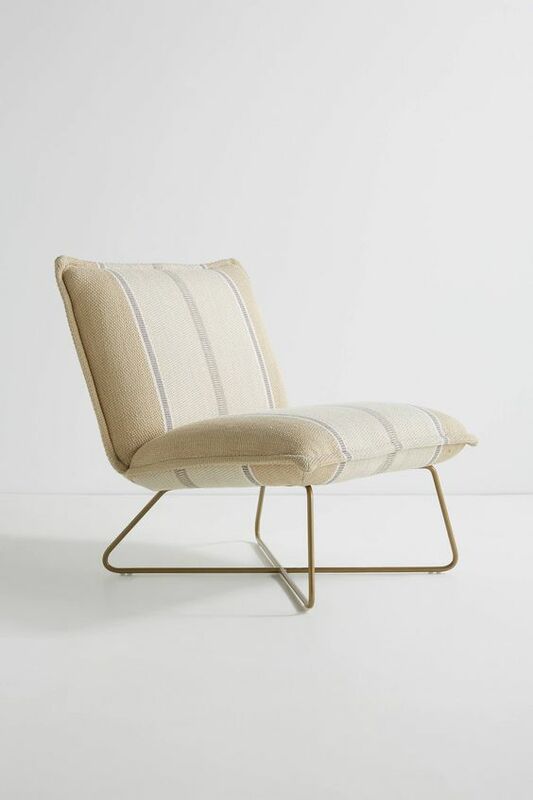 For long hours of lounging, the Huron Large Lounge Chair & Ottoman from west elm is what you need (and I want). 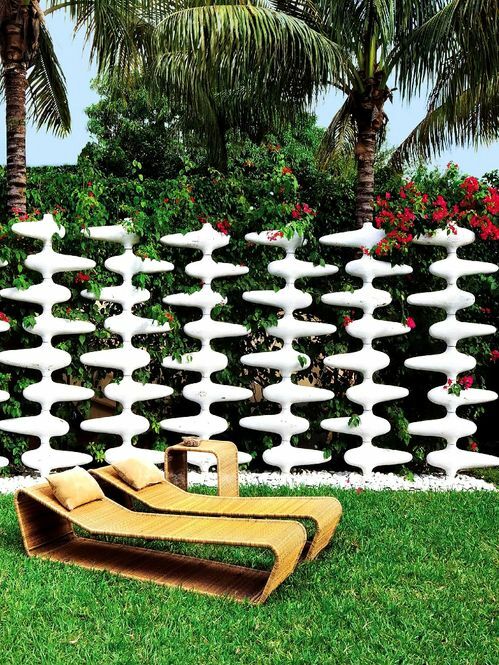 Its all weather cord is perfect for sudden downpours, and its simplicity brings elegance to any outdoor space. I couldn't resist the Cobbler Stool in teak by Skagerak, its perfect for extra seating indoors or out. The same can be said for the PS Sandskar table from ikea. In doors or out, this table does double duty when the table top unscrews to become a serving tray. 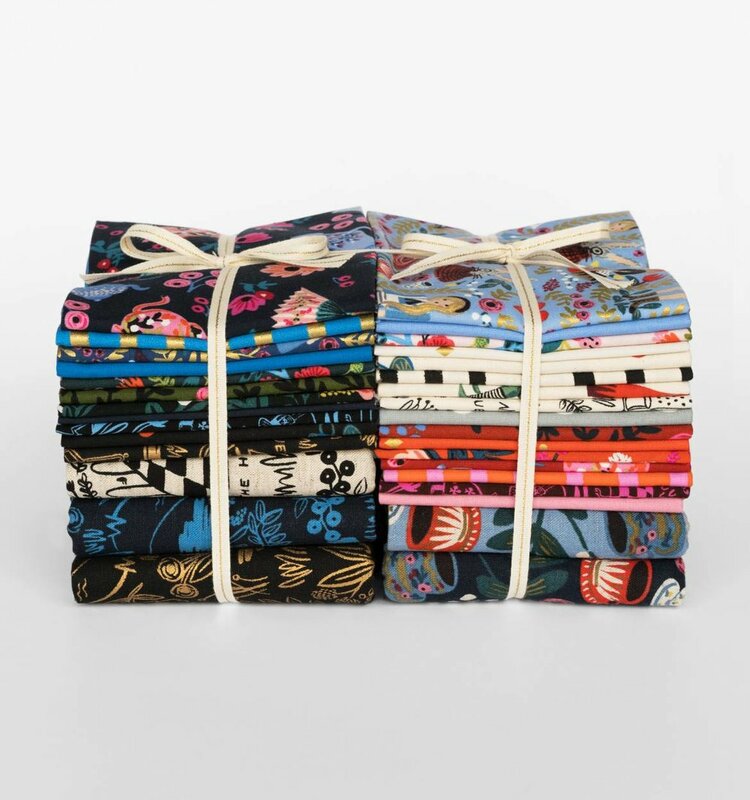 And, how could I not include an outdoor textile: Summer Triangles by her art. 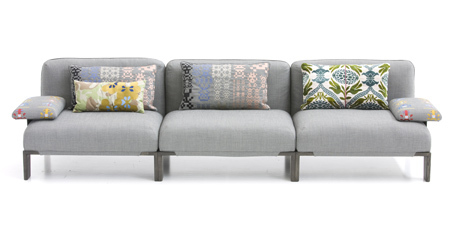 Its bold, colorful, geometric, and perfect for outdoor naps. 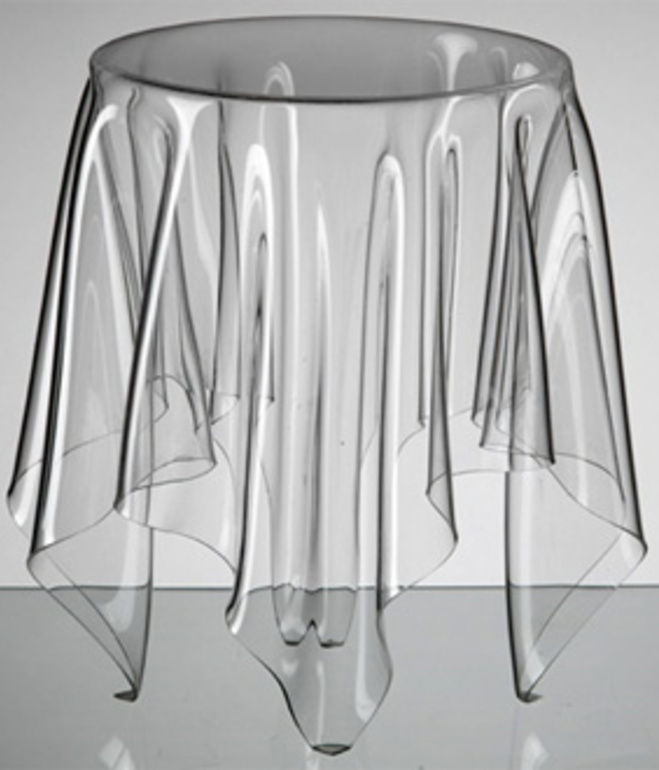 Decorating with transparent surfaces brings an unexpected element of surprise and illusion into a space. Tokujin Toshioka designs the most stunning furniture pieces that appear to float or magically disappear into their surroundings. 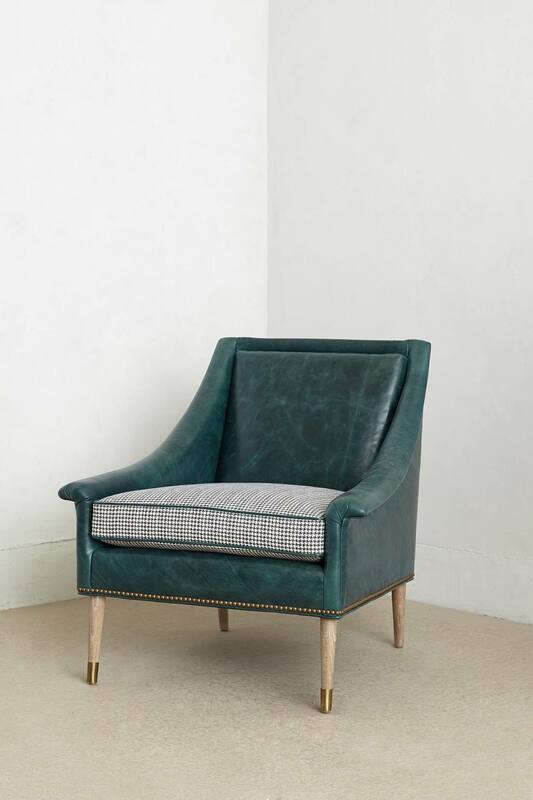 The armchair from his Invisibles Light Collection is a covet-worthy piece. Along those lines is the Louis Ghost Chair by Philippe Starck for Kartell. Whether crystal clear, or opaque black, these chairs are a contemporary take on a classic silhouette. From the functional to whimsical, transparent surfaces also offer space saving solutions (illusions!) for small spaces. CB2 has a variety of acrylic furniture pieces that are simple, sleek, and multifunctional. 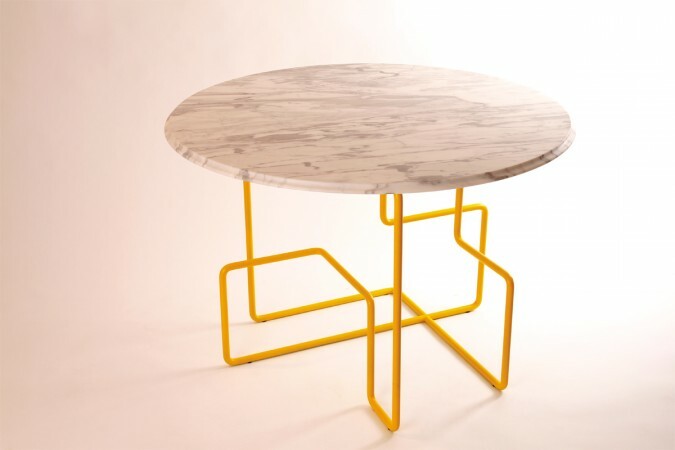 Lastly, I couldn’t resist the playful nature of John Brauer’s Illusion Table. The acrylic is genius and bold in mimicking an actual table cloth. A transparent trompe l'oeil. Kartell is a longstanding favorite for modern and contemporary furniture design and production with a 60-year history to prove it. 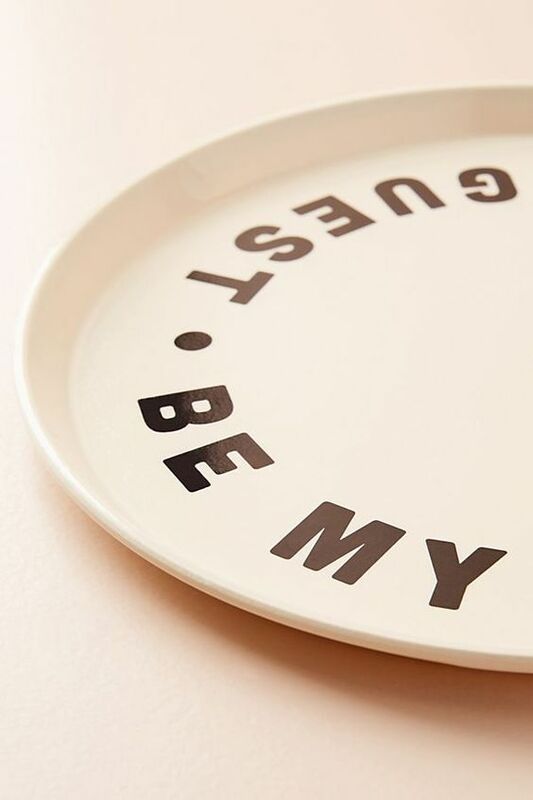 Kartell products are multifunctional and feature an astounding visual appeal with instances of playful wit. And the most important (perhaps the driving force behind the longevity of Kartell) is the constant evolution of material through technologies. Kartell materials are both functional and aesthetic fetes showcased in multidimensional collaborations with some of the words best designers. 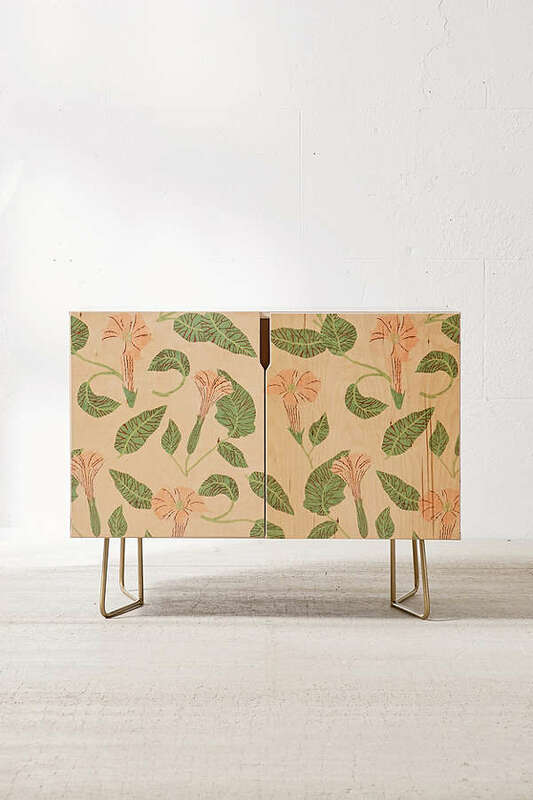 The bold & the beautiful sets the tone for this round-up of furniture objects. 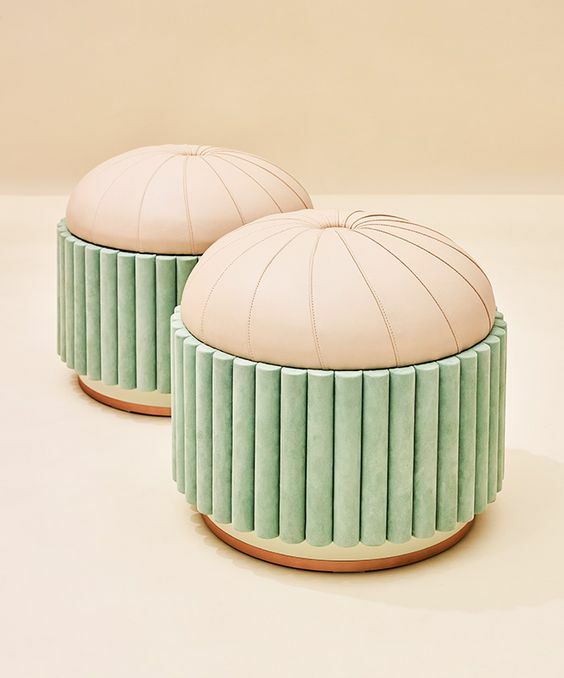 I am currently obsessed with the coffee tables comprised of marble yet used like paper to create ORIGAMI & Earthquake 5.9 furniture collections by Patricia Urquiola. The subtle colors are divine as well. 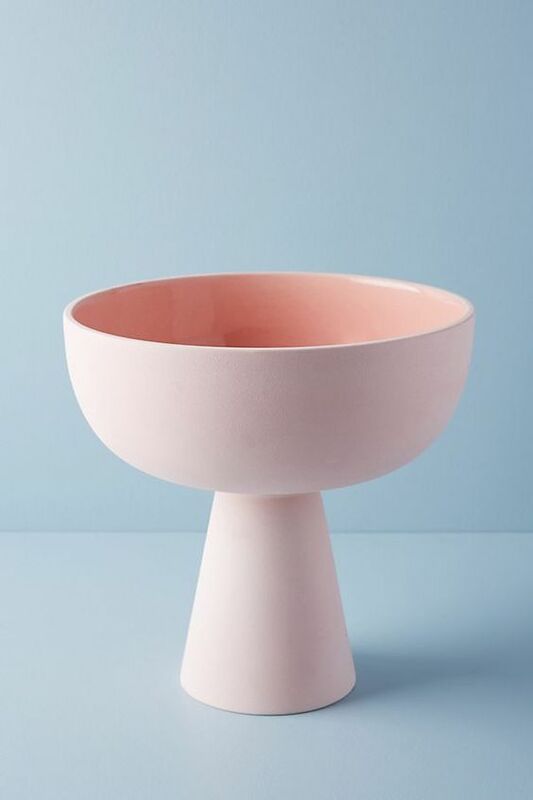 Similar in color, the Mimosa side table (1984) by Ettore Sottsass takes my favorite beverage and re-imagines it as a subdued neon furniture object. Another furniture object that blurs into the world of art is the wire furniture series which resembles wire drawings by Jinil Park. 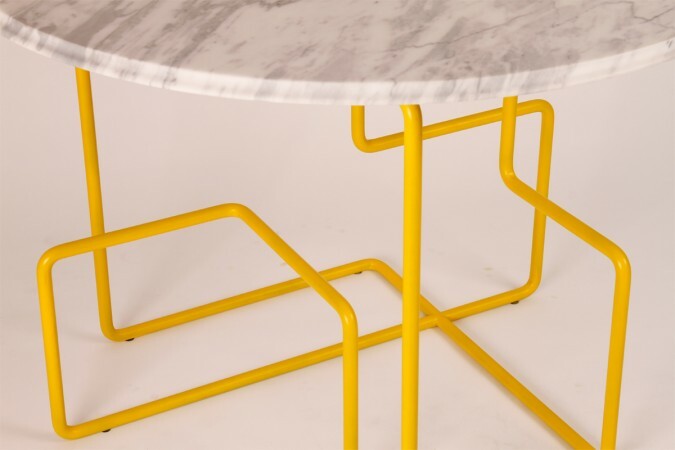 The steel is transformed into distorted lines that when welded together form the furniture as a whole. 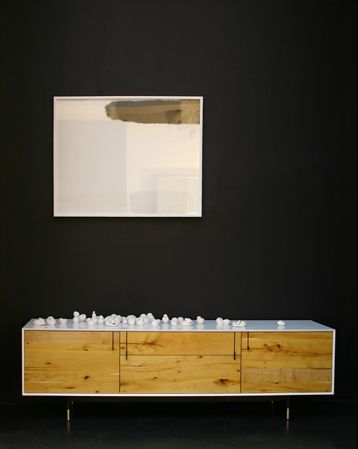 Concrete cabinet by Jean Willoughby is the perfect combination of wood and concrete. 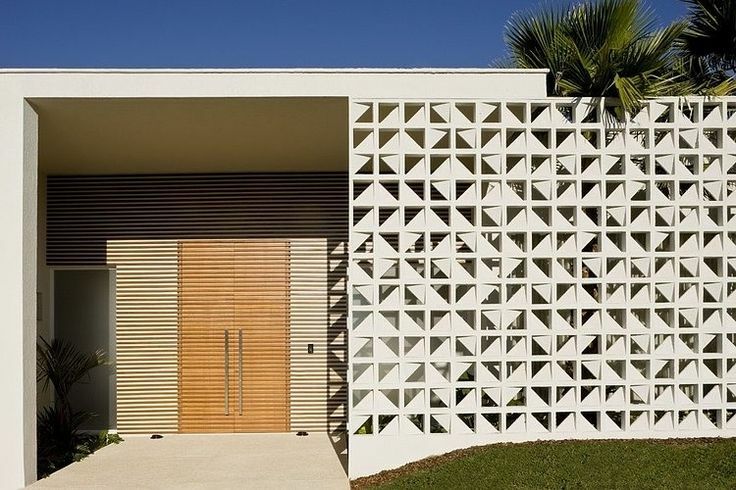 The functional piece showcases the beauty rather than the utilitarian side of concrete. Finally, I could not resist a plywood crafted piece. 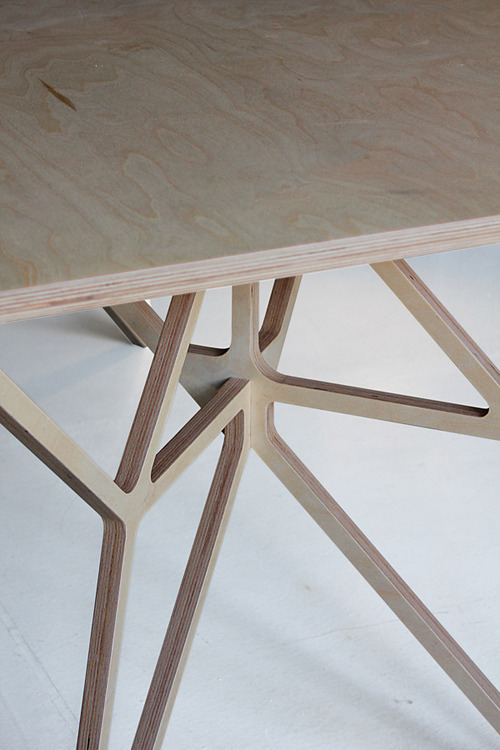 The plywood table legs almost mimic crosshatching in their elegant geometric form. What better way to start your new year than interjecting color and unexpected textures and forms into your surroundings. 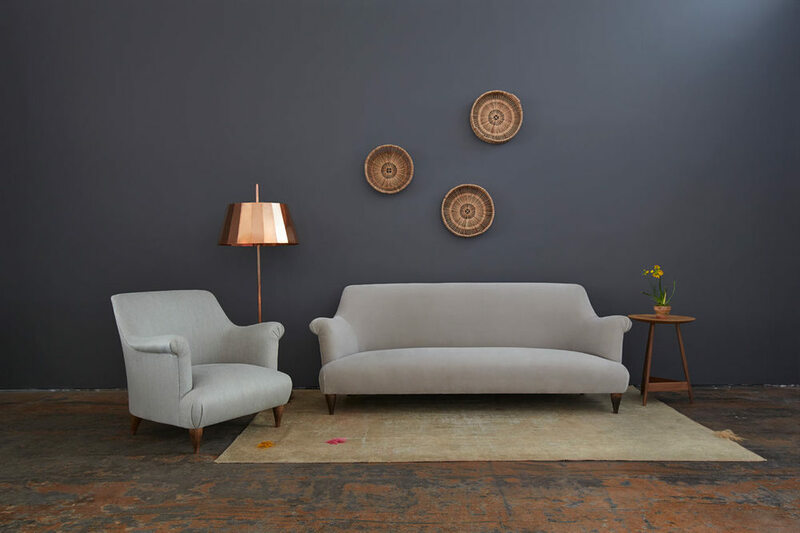 These vintage and minimalist wood lounge chairs from Denmark embrace classical furniture craftsmanship while concentrating on the understated pure form of design. For purchasing inquires, please click here. Black Accents whether in art, architecture, textiles, fashion, or interior design are my favorite. 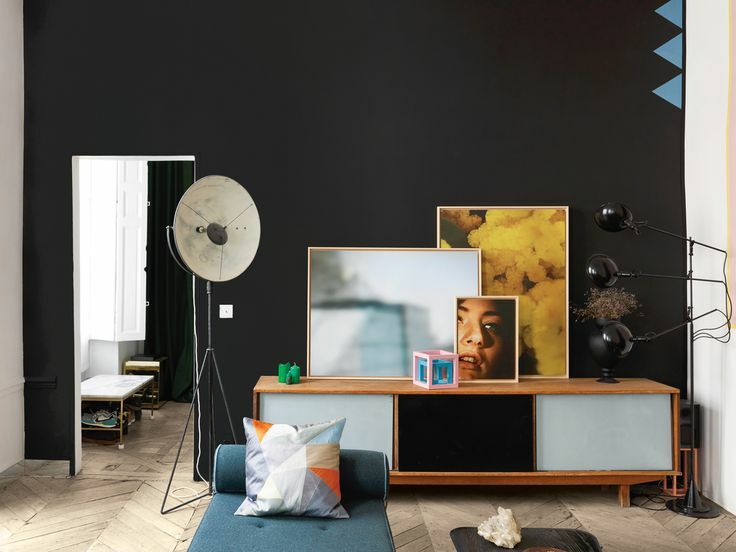 I have an inclination towards the bold pop black adds to its surroundings, and if it incorporates a geometric or minimalist twist, even better. Here is my round-up of current favorite black accents: 1. Love this modern interior photographed by Heidi Lerkenfeldt that showcases a variety of black accents from furniture, textiles, and a lamp. 2. The furniture object with some monochromatic punch in the Brooklyn home of Hannelore Knuts & Nicolas Provost. 3. 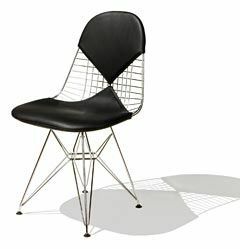 Eames wire chair with a black leather "bikini" cushion. Perfect. 4. 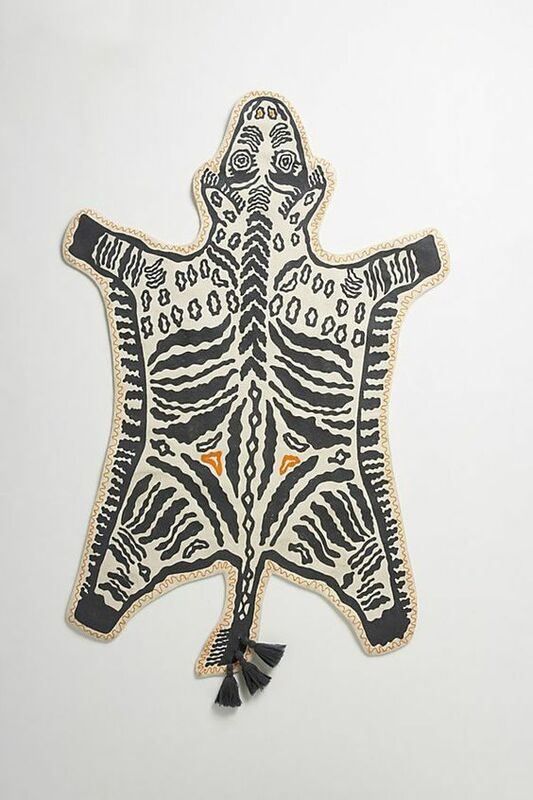 A black & white rug from House Doctor that features a geometric print (clearly I am a sucker for this design aesthetic). 5. 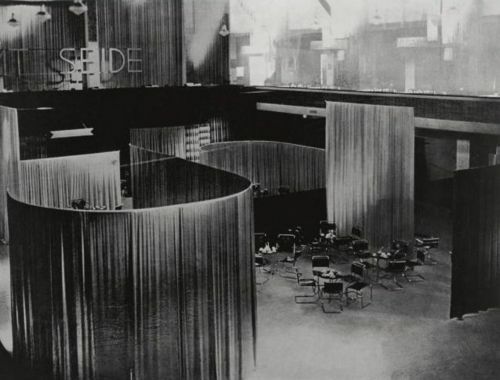 Jean-Christophe Aumas' multihued Paris apartment. 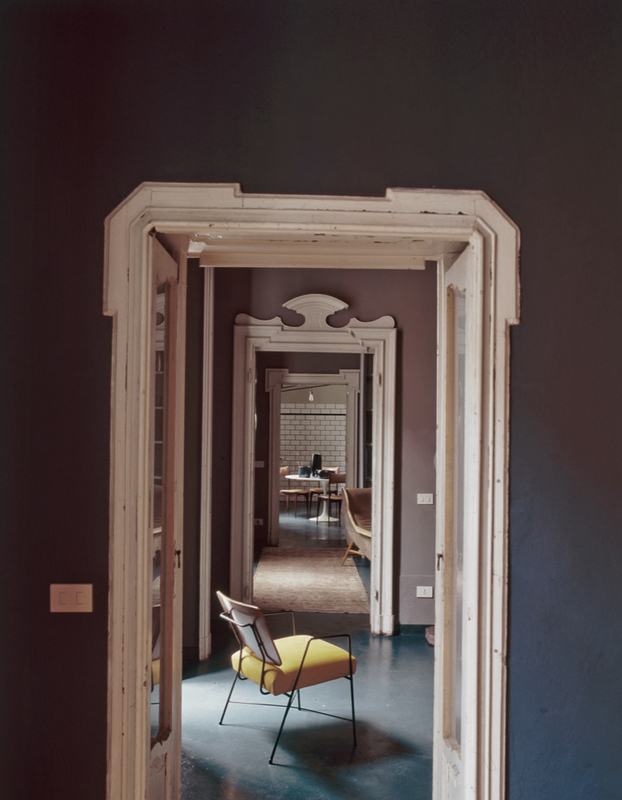 A perfect example to go bold and dark with wall color. The dark paint shown is from Dulux Valentine. 6. 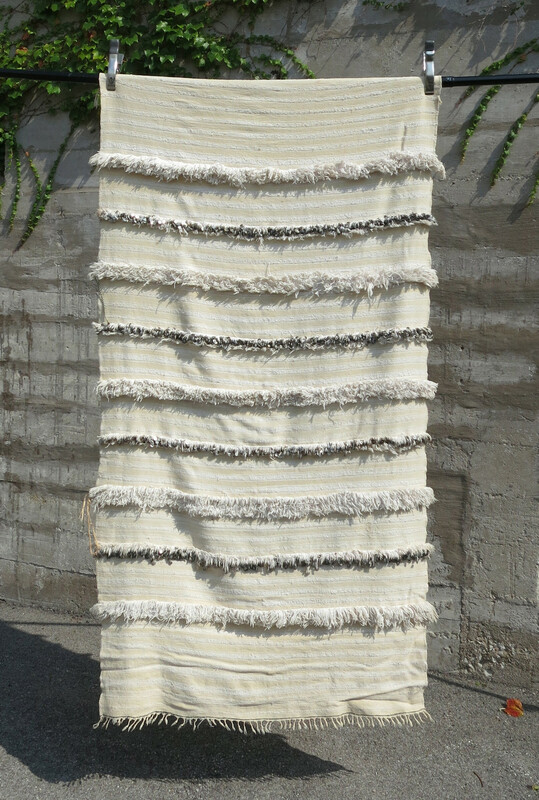 Black & white hand-woven rugs made in Sardinia and designed by Carollna Mells. Woven in the pibiones technique that creates a raised effect. 7. The black accent featured on the Cappellini Bac chair designed by Jasper Morrison offers a nice contrast to the light wood frame. Alright, I absolutely love the combination of wood, metal, and leather. 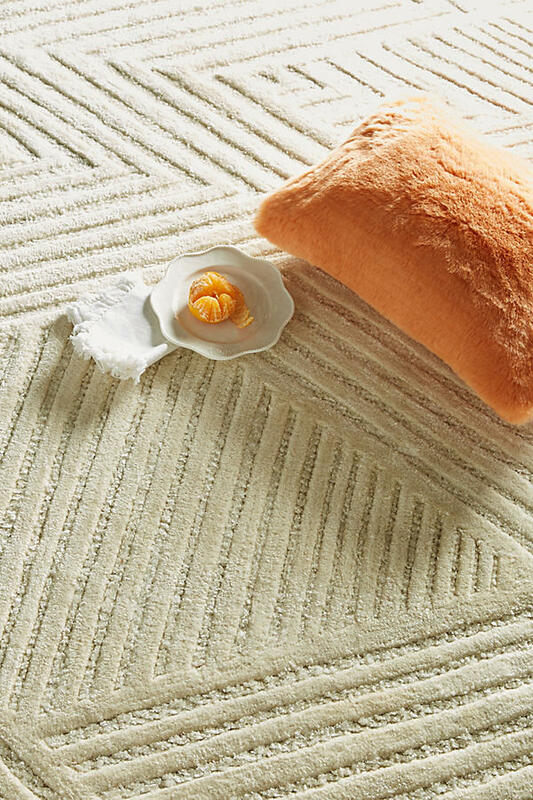 Three elements, textures, and finishes that when combined, produce endless furniture possibilities. 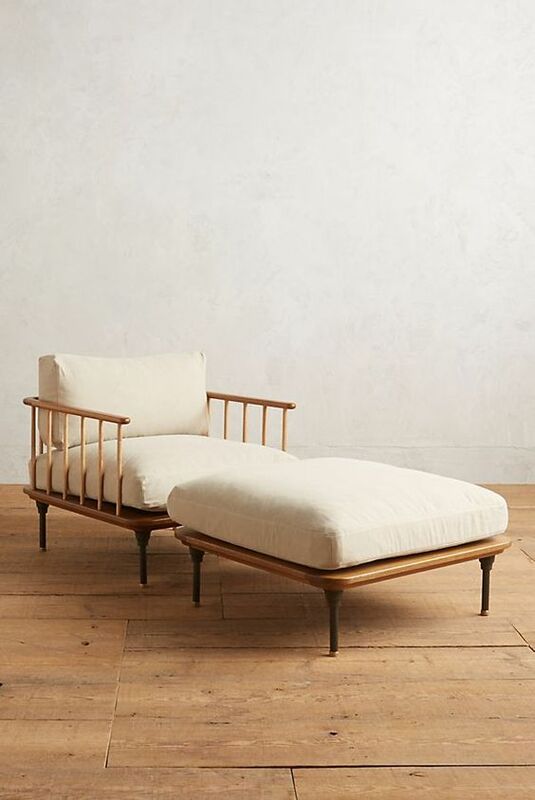 BDDW has me excited about American crafted furniture again. Their Bronze Trestle Table and Lake Mid Credenza showcase true craftsmanship with metal accents. 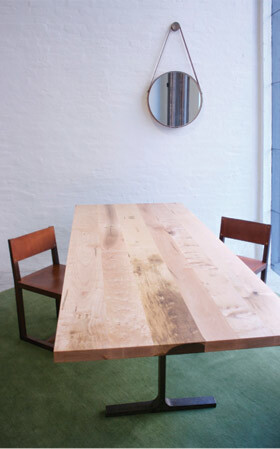 It is furniture that melds the natural with the industrial. Another metal and wood combination manufactured in the U.S. is the formed steel with solid walnut wood seat by Lockwood. For storage, I am currently all about the Chevron Grain dresser from West Elm. 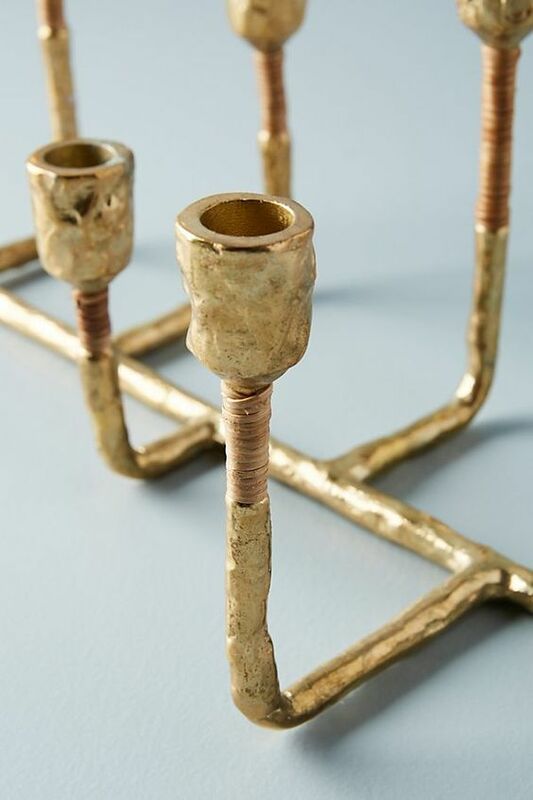 Love the grain of the wood with the subtle yet sophisticated brass-finished hardware. Now for the leather. 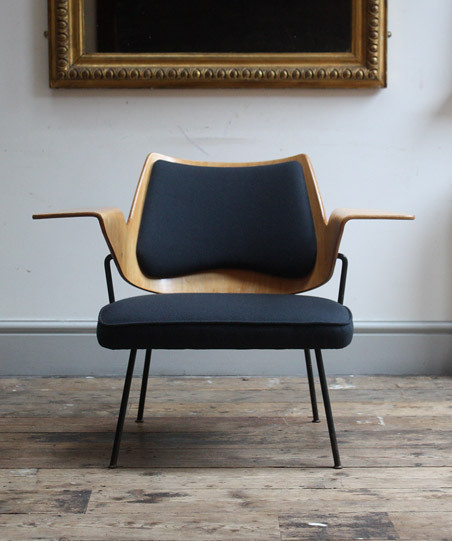 The brass thin-framed chairs by Lawson-Fenning are obsession worthy. 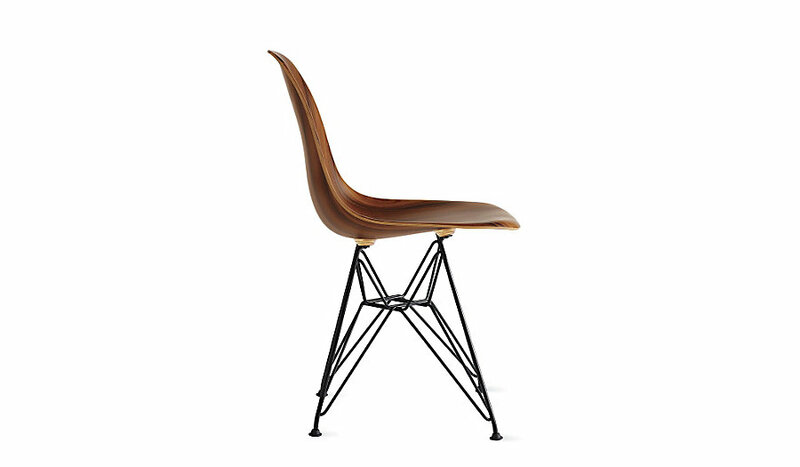 And how could I almost forget the gold medal of modernist furniture perfection, the Eames Lounge Chair and Ottoman. Need I say more. 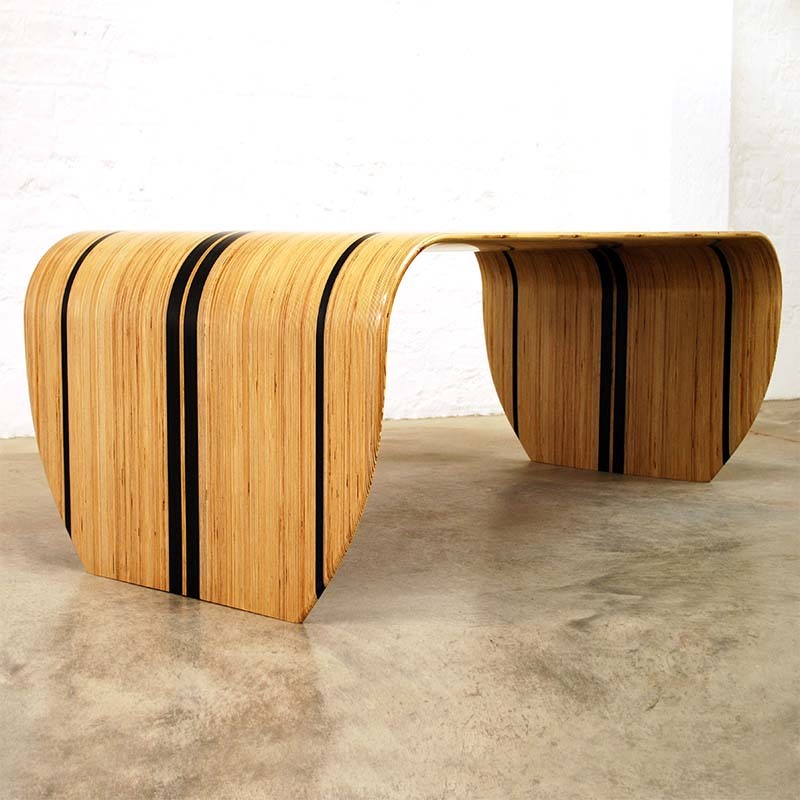 Furniture collections or stand-alone pieces that showcase wood through unexpected angles and continuous lines are my favorite. Hugh MIller of HM Handmade features this in his Folded Record Bureau. And it is SO FABULOUS. 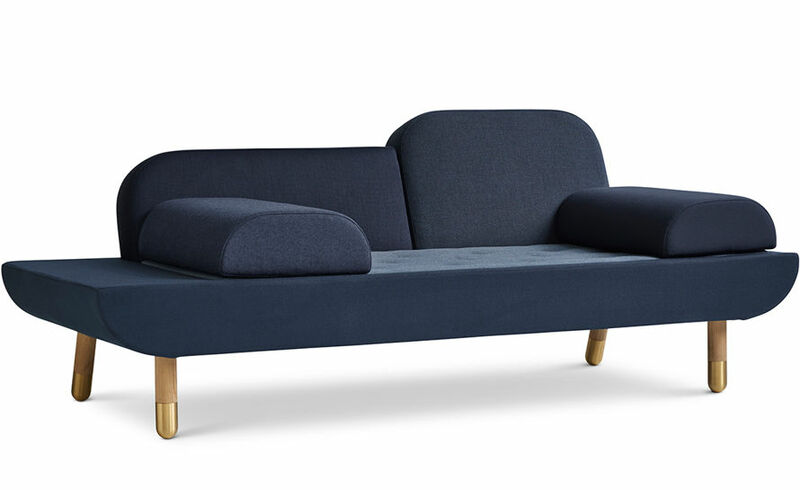 The bureau recalls mid-century modern simplicity, but with contemporary originality. Love the angled storage areas for records, and how the turntable is flush with the table surface. I also love his backgammon table that incorporates magazine or book storage (or instructions on how to play). 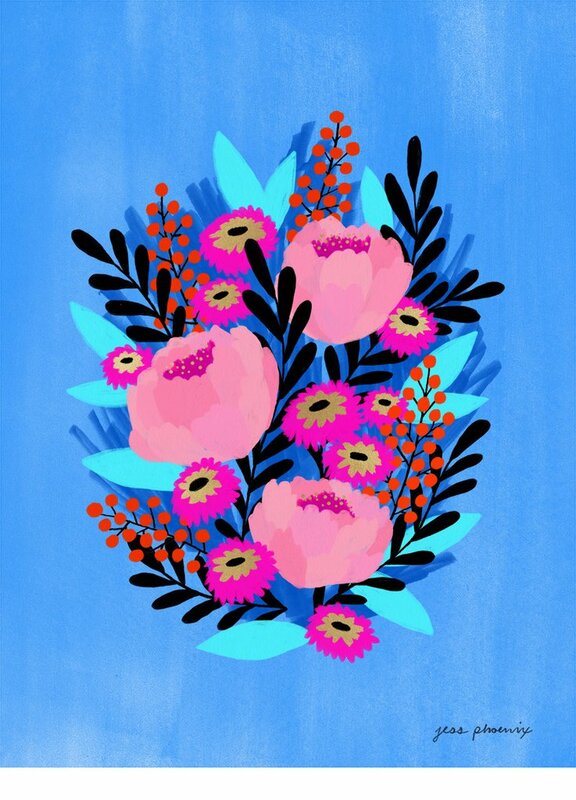 The pop of color and geometric detail along the table top make this piece all the better. 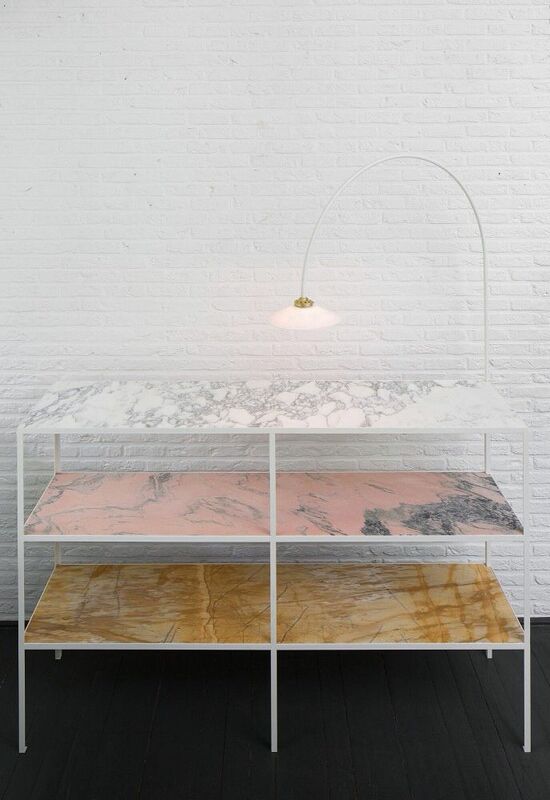 Another favorite of the moment is the New Alto home desk designed by Andreas Engesvik. 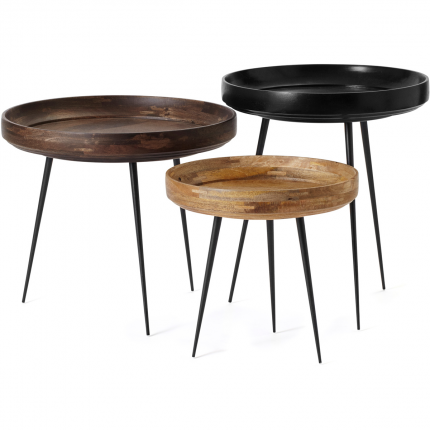 The design incorporates a solid wood base with a delicate table top. 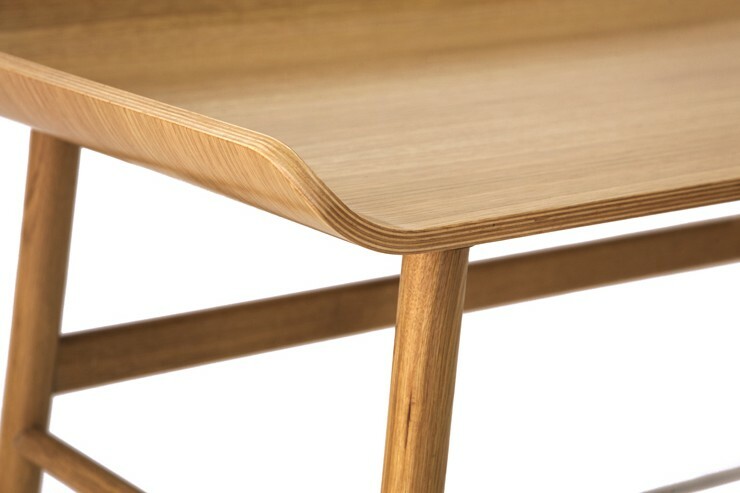 I enjoy how the sides of the table top delicately flare upward, which juxtaposes its linear solid base. 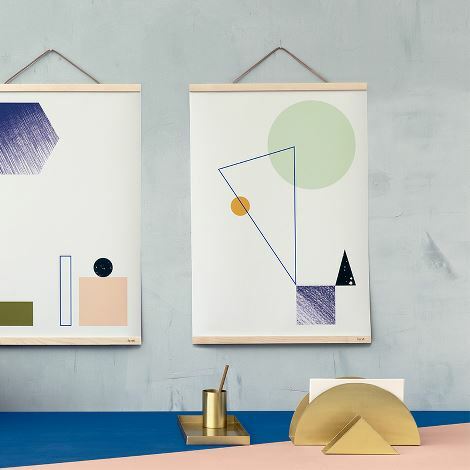 Enjoy these beautiful wooden angles + and lines!